Description: 12 - Pisces Garden Statue - Pisces is one of the best marble statues to ever grace the streets anywhere in the world. 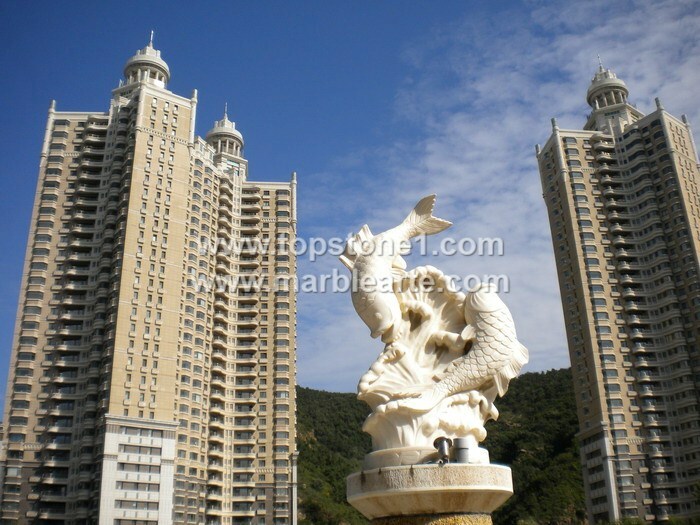 With designs of hand carved marble, you can buy marble statues online at varying marble statues prices. Made of Italian marble, this is one garden sculpture that can be set up at the building entry, or as an outdoor water fountain statue. It is as a Japanese garden statue, where these marble statues shine the brightest.